Posted on January 20, 2016 by thelostlighthouse	in Board Games, Gaming, The Tabletop Project and tagged 3d train, bandits, board games, Colt Express, Spiel de Jarhes, TLL, tllgaming, trains, Western. What’s the easiest way to entice me into playing a board game? I don’t know but a 3D train certainly has to be high on the list! We have been spoilt the last few years with so many good games. How can we possibly play them all? Well obviously we can’t, it’s just not possible. So we have to be discerning, and games designers have to be clever to catch our eyes. Well Christophe Raimbault & Ludonaute have done just that. Colt Express sees 2-6 players controlling bandits trying to commit a train robbery. Problem is, there’s a marshal on board, and oh yeah, all the bandits are out for themselves. 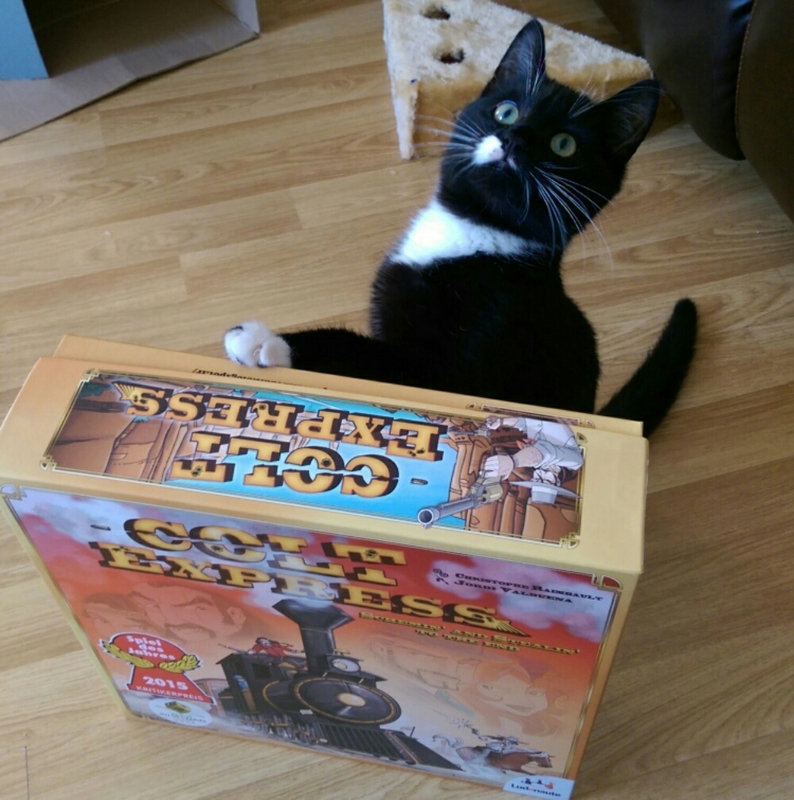 With a tight, petite rules set Colt Express lets the fun begin right away. 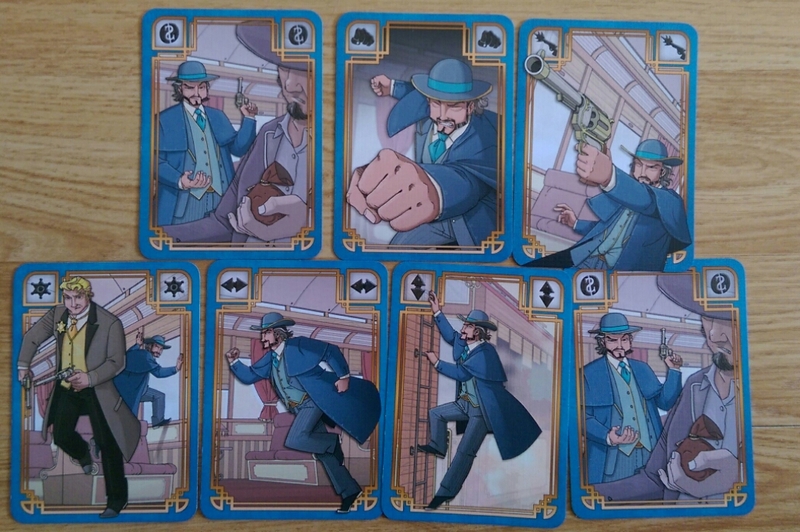 The basics of the game are that everyone has a deck of 10 action cards which represent things your character can do that round, which range from shooting your fellow bandits, picking up loot, to moving the deadly marshal through the train. The aim of the game is to end with the most valuable loot, that being purses, diamonds or the danger magnet that is the marshals strongbox! 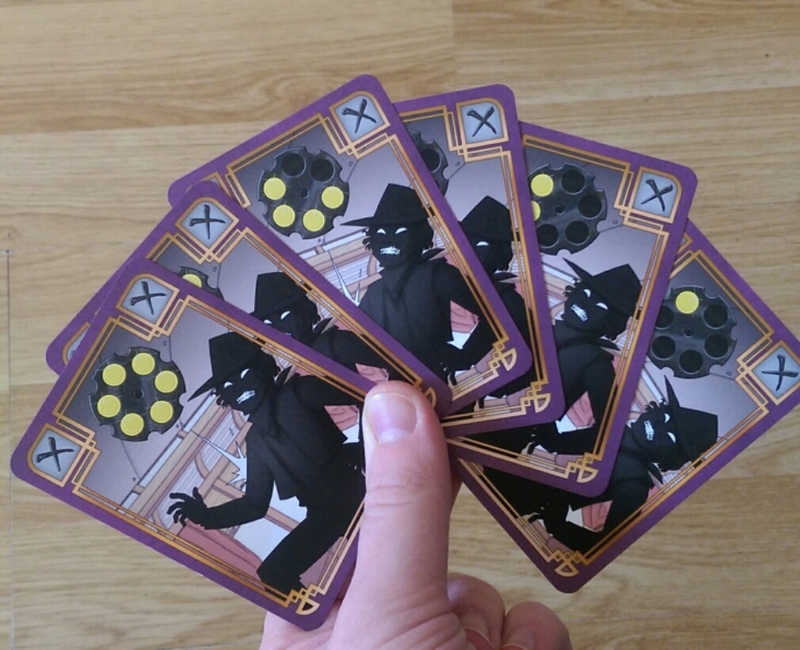 At the beginning of the turn bandits draw 6 cards and each play a card to create a common deck that gets flipped and actions played out one by one. Most of the time they are played face up so everyone sees what will happen and in what order, but sometimes the train is going through a tunnel and they are played face down, which adds a great bit of mystery. Firing your six shooter is very encouraged in Colt Express and the mechanic is fantastic. You basically choose another bandit that’s in an adjacent carriage, or any carriage if you’re both on the roof, and serve that person one of your bullet cards to their deck. Might not sound much but after you’ve been shot a few times, drawing those cards are basically useless and limits what you can do. You also earn a massive $1000 if you manage to fire all your bullets! Which can be game winning. Using up your bullets isn't as easy as it might seem! You can also punch each other to make bandits drop their loot. Which is always extremely funny/infuriating. After 5 rounds rounds, you work out how much everyone has earned and you crown a winner. 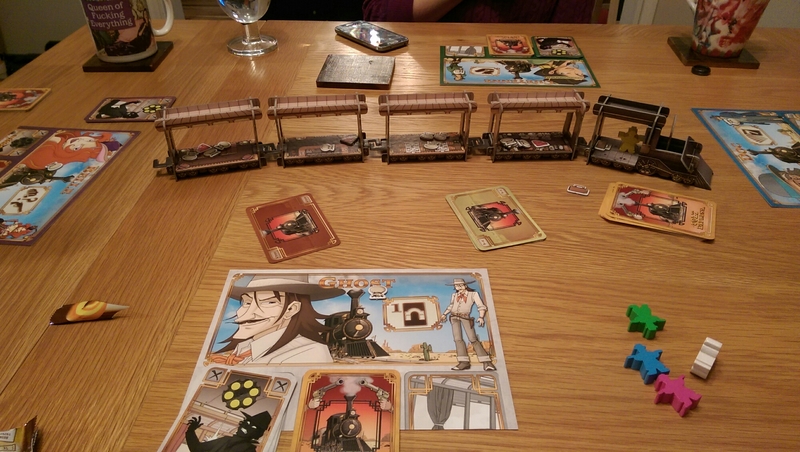 Colt Express was a lot of fun, our second game lasted about 30 mins and did not outstay its welcome. Each character comes with an optional power but we found the vanilla version (not using powers) was a much more level playing field. Some of the powers are a lot better than others. It’s a nice light hearted game with more than few things in common with Ca$h and Guns (a game I rate very highly). While the light rules set means it’s a great pick up and play game, it does also mean I probably won’t be playing it every games night. But that’s not a bad thing. Some of my favourite games are ones I only play a few times a year. Id also like to applaud Jordi Valbuena for a great art styling. All in all I’d definitely recommend Colt Express as it packs all the fun of a great western movie into 40 minutes and also so you can enjoy sending the marshal into a carriage full of bandits and see them shot and jump to the roof! Also for a RRP of £27.99 you can’t go wrong. As always we’d suggest using this handy store finder and support your local games store.